Distinguish, differentiate, compare and explain what is the difference between turbine and compressor. Comparison and Differences. 1. 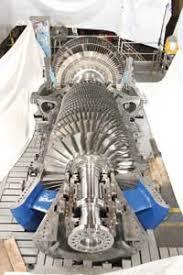 A turbine converts hydraulic energy into mechanical energy. A compressor converts mechanical energy into heat or pressure energy. 2. A turbine in conjunction with a generator generates electrical energy whereas a compressor is a power consuming device. 3. A turbine is a prime mover. A compressor has to be driven by a prime mover.